Allyson Stewart-Allen is a renowned marketer, whose expertise in brand internationalisation is sought by businesses globally through her consultancy, publications, appearances, mentoring and corporate education. A Californian based in Europe for over 25 years, Allyson applies her international consulting experience, MBA education with Dr. Peter Drucker and languages (French, German) to the company she founded, International Marketing Partners. Allyson is engaged for her award-winning corporate education experience by both Fortune 500 companies and the world’s leading business schools including Oxford University, London Business School, HEC Paris, Duke Corporate Education amongst others. She is the first-ever two-time recipient of the Excellence in Practice Award of the European Foundation for Management Development acknowledging her custom leadership programmes for Lufthansa and BAE Systems. Having appeared as the business expert in the 2015 and 2016 series, I have also been invited to continue my participation in this year's programme (2017). I am a regular contributor to various radio programmes and currently Luxury Commentator for Monocle24. I am also a regular author and commentator for several print and online newspapers, journals and magazines. Working with Americans: how to build profitable business relationships. We may both speak English, but that is where the similarities with our American counterparts end. Anybody who has ever done business with Americans can testify to the numerous differences between US business culture and the rest of the world. This webinar will help participants understand key differences, uncover what they can do to better play to their American colleagues' thinking patterns and preferences and develop a better understanding of American business culture. 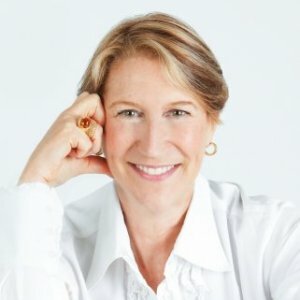 Presented by recognised expert, advisor, educator and author of Working with Americans, Allyson Stewart-Allen will provide insights into the underlying values of the American business culture, effective communication strategies and how to build lasting relationships with American companies, colleagues and bosses. Anybody who has ever done business with Americans can testify that there are more differences than similarities between Americans and most business cultures in the rest of the world. There are differences in cultures, values, etiquette and even ‘common’ business language – which is quite often, well, uncommon. When it comes to building relationships and doing business deals with Americans, understanding and appreciating these behaviors, culture and business manners is vital to success. Everybody wants to work with people they relate to, who they believe they can trust -- and ultimately who ‘speak my language’. Working with Americans not only illuminates why Americans think and operate as they do, but also shows what you can do to play to your US colleagues’ preferences and business practices. This is the guide to understanding Americans in business, their culture and thinking which will make you a more informed and confident manager and envoy. With confidence enhanced, you can be more relaxed, have fun, and focus on building lasting, profitable relationships. Letter from America, the regular magazine column from "Muse of Marketing" Allyson Stewart-Allen, explores US marketing developments of interest to international marketers. This newest 3rd edition now includes more checklists, frameworks and top tips for successfully building your business in the USA. As in the 1st and 2nd editions, British government agency UK Trade & Investment commissioned Allyson Stewart-Allen to create a useful guide for small and medium-sized companies to methodically plan their American market expansion. More than ever before, Management is perplexing and challenging. The Financial Times Handbook of Management captures the state of this indispensible, inspiring, invigorating and essential art. The handbook is the essential management reference for the managers of today. It brings together the most ambitious, comprehensive and authoritative selection of ideas, practices and management thinking. It captures a world of management expertise and delivers it to your desktop in a single, definitive resource. This title features practical advice and techniques for winning new business from both new and existing customers. It looks at how to: analyze customer needs; build relationships; and write winning proposals.